Hands-On Therapy Services started as Hoang’s dream to create a clinic where people who are injured or had surgeries to their arm and hands can come and NOT ONLY get better and pain free, BUT also FEEL BETTER and have a sense of relief that we care and can show them the light at the end of the tunnel on this road to recovery. Listen to Andrew’s story where he explains how Hands on Therapy Services helped him return to his regular pain-free sport activities! Our mission is to help you make the BEST decisions on what to do for your health and well-being. Nothing is worst then having an injury or surgery and feeling like you are not getting the answers that you need and feeling despair that you can’t get better. That’s why we are here to HELP you get your questions answered, give you the TIME and ATTENTION that you need, and to turn your frown upside down! Hoang “Wong”….also known as Juanita with her friends, colleagues, and especially her clients….has been an occupational therapist (OT) and certified hand therapist (CHT) in the Miami area for almost 20 years. She has been working with clients with arm and hand injuries to be able to stay active, pain free, and avoid surgeries. Hoang also spent most of her years in practice working with many surgeons at Mount Sinai as well as many other doctors in the Miami/Fort Lauderdale helping those suffering after surgeries, to be active again and avoid complications after already having surgeries. Hand and arm injuries, and especially surgeries can be some of the most difficult to recover from. It can be extremely frustrating and exhausting but with the right people at Hands-On Therapy Services, we make it fun, relaxing, and provide you with the comfort and expertise that you need to make a fast recovery. Hoang loves working with clients, as well as teaching other occupational therapist and OT students all about therapy, wound care, custom fitted orthosis, and just loves to share her knowledge, experience, and love of helping those with injuries and surgeries recover as fast as possible. Besides working on growing Hands-On Therapy Services to provide the BEST experience for those suffering from injuries and surgeries, Hoang is an adjunct professor in the Occupational Therapy program at Barry University in Miami. In her free time…. (wait…there’s free time??? ), she enjoys cooking and eating and spending time with her husband and two kids. Latresha is an occupational therapist who’s working toward getting her certified hand therapy certification. 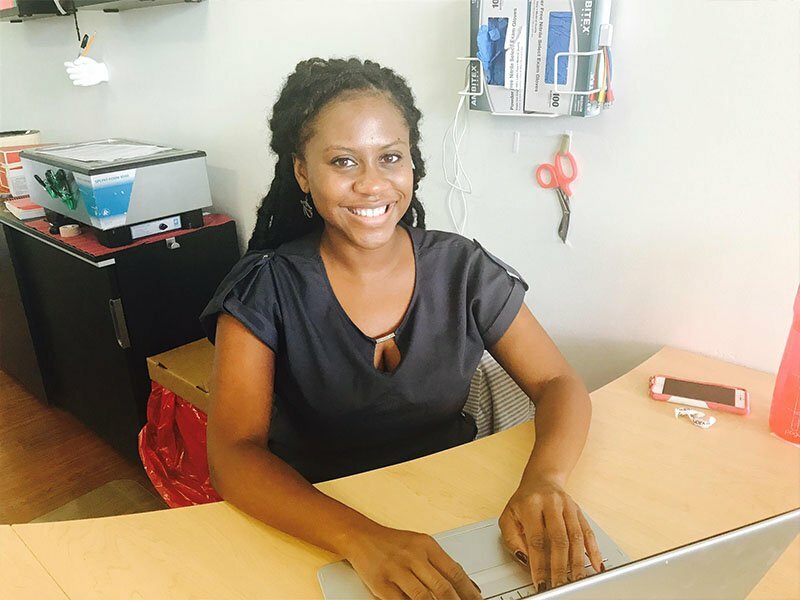 She’s moved from Georgia to Miami several years ago after getting her Master’s in Occupational Therapy degree from Tennessee. Latresha’s cool and calm Southern personality can put anyone at ease while helping them to get active, pain free, and avoid surgery. Her experience working with adults with a variety of medical problems and injuries has lead her here to Hands-On Therapy Services to further her experience and work towards specializing in arm and hand injuries. CHT is a board certified specialty for therapist with 3 years of experience (was recently changed from 5 years), at least 4000 hours in the treatment of upper extremity injuries of the neck, shoulder, elbow, wrist, and hand. And last but not least…one must pass a rigorous exam in order to get the Certified Hand Therapy (CHT) designation. When Latresha is not working or studying, she is enjoying spending time with her family and exploring all that Miami has to offer. Her favorite thing to do? ?….is eat (we are all a bunch of foodies at heart)!! Our clients love to talk to Latresha about their favorite places to hang out and eat! We hope her sense of adventure for fun, beaches and warm weather keep her in Miami as long as possible! Vanessa is Miami raised, but went away to Boston University to get her Masters in Occupational Therapy. Now is completing her Doctorate as well! Vanessa returned to Miami to be with her family and gain the experience as an occupational therapist in her home town. Vanessa’s kind heart is something that clients here love about her. Dilcey, also known as Dulce, is the glue that helps us hold our office together. Dilcey is fun, easy going and will spend as much TIME on the phone talking to you, answering all of your questions to help you make the best decision about your health and well-being. Dilcey also can make help you make the RIGHT type of appointment that you need whether it be to first speak with our therapist about your specific case, or set you up with a FREE discovery visit if you just are not sure and skeptical about how therapy can benefit you. If you KNOW that we are right for you, she can help make sure you get the BEST available appointment that you need. Once you are here with us, DIlcey will make sure you have everything that you need to make your visits with us a HAPPY and successful visit each and every time. 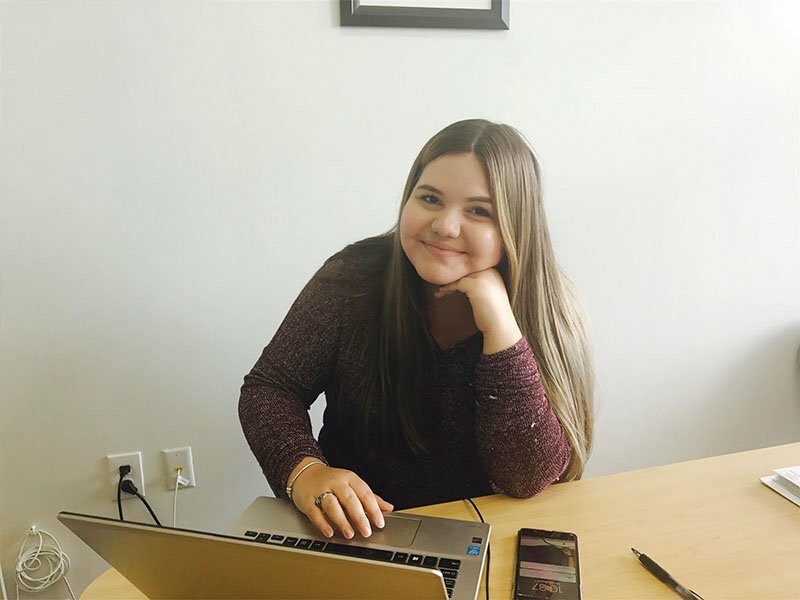 When DIlcey is not working, she is busy studying at Miami-Dade, soon to transfer to FIU to continue her college education. We here at Hands-On Therapy Services look forward to be able to support her on her goals to be in the medical field….she wants to be a surgeon…we keep pushing her to be a hand surgeon but she would rather do plastic reconstruction. Each of us will be happy to answer all the questions you might have regarding hand injuries and Hands on Therapy Services! We invite you to contact us! We realize that some people want to inquire about cost and appointment availability before booking. If you want to know about cost and availability in our Miami location, click the link and fill out the short form.